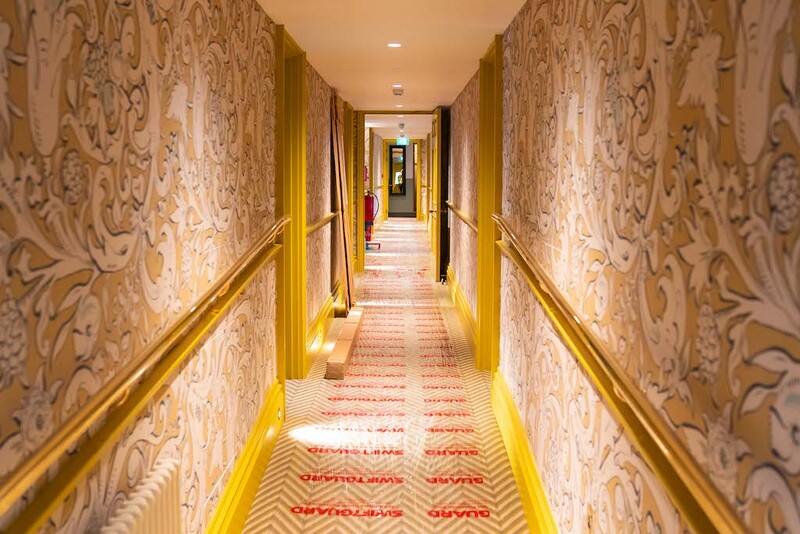 The members’ club scene in London is changing. In 2019, business-led and modern options are the order of the day. Here, we talk you through the best new members’ clubs in London, as well as what to look out for when searching for the right club. Old-style gentlemen’s clubs still exist. Smoky, whisky-soaked rooms, words like ‘establishment’ and ‘elite’ might be thrust upon them by people who don’t care for such things. And there are more inclusive, but more traditional clubs around, too – The Library, for instance. It’s been around for a while but has offered a somewhat fresher take on where to hang out. And we all know about the Soho House group. If you want to climb London’s social ladder and listen to a panel discussion about Tinder then the Shoreditch outpost is the place to do it. But this year marks another shift – clubs that are geared more towards business than the ‘scene’. Clubs have always been places to network and do deals, but not so much specifically designed for creating slideshows or holding company conferences. Soho Works is a telling sign of this, moving past the idea of a ‘club,’ instead blending that aesthetic with a working environment, almost like London’s Second Home space. But don’t worry – alongside the boardrooms, there are still afternoon teas and cocktails to be had. And cigars. The shift is as gradual as you might surmise. And we’ve concentrated on that treacly pattern in our round-up here. The latest old-school members’ club to have a makeover after more than 50 years of Soho nightlife, Annabel’s reopened last year two doors down at 46 Berkeley Square. Where Annabel’s once came to life after dark, now it is offering a near 24/7 service (7am to 4am) with restaurants, bars, a garden terrace, private dining rooms, a spa and a cigar room. A number of niche touches have been added to the mix, from a dog walker billed as ‘the world’s finest’ to look after members’ pets to an ice-carver whose job is to carve out different-shaped ice cubes for cocktails. But despite its 21st-century evolution, there are some ways in which Annabel’s will remain old school – telephones and laptops are barred from all but one floor. The London-based designer tasked with the venue’s aesthetic revival, Martin Brudnizki, describes the design as ‘eccentric, English, maximalist and surrealist…like falling down the rabbit hole.’ Each room has its own distinctive theme, but all draw on the idea of the garden, an interior highlight being the bespoke chandelier installation festooned with unicorns, monkeys which swoops through several floors. And with its pink-silk flowered ceiling, hand-embroidered pink silk labels on the walls and gold swan taps, the ladies powder room threatens to steal Sketch’s title of boasting London’s most Instagram-worthy bathroom. Technically only the kids are actually members here, but it’s beneficial for both child and parent. Nestled in a cosy mews in stylish Notting Hill, Cloud Twelve club is a step above all others like it – except after visiting and getting an in-depth tour, we can confirm there isn’t another club like it at all. The detail and sheer thought that has been put into every aspect of the Cloud Twelve experience, from the names of the rooms (air, water, and other natural elements) to the sustainable, organic products used is extraordinary. The result of all this effort is Cloud Twelve, a kids club downstairs, members only, and a wellness haven and spa upstairs, which is open to non-members too. The ground floor is where the kids’ members clubs sits. There are three separate rooms and running through the middle is the generously sized play area which includes a ball pit, pirate’s ship, and plenty of other things to jump on, throw around and pass the time with. The reason the kid’s area is members only is so that the kids and parents can socialise with the same group every week, and for safety reasons of course. The kids club has a range of classes to enrich the children’s time spent there, there’s also a creche, babysitting services, and a cafe which serves delicious and healthy plant-based food to be enjoyed in the family space cafe. If the adults want some private time, they need only step into the adult’s brasserie inside but out of the way of the kid’s area, where they can enjoy a glass of wine whilst watching their kids have a great time, supervised by the caring and Ofsted-registered carers, practitioners and staff. On the first floor, there’s a brasserie serving a more grown-up version of the plant-based menu in the kids club below. The most unique feature of this area is the selection of teas, all handcrafted in-house. If suffering from a cold, the ‘Immuni-tea’ is soothing and works wonders on a scratchy throat. Round the corner, which is purposely designed to be curved to aid the feng shui of the building, you’ll find the salon. The luxurious nine-seat beauty parlour includes hairdressing facilities for men and women, and a nails area. This is where you might start to notice the level of detail put into the creation of Cloud Twelve – the products used in the salon, Aveda and American English, are brands that commit to crafting and selling non-toxic, eco-sustainable and plant-based products to leave you feeling and looking great. The nail polish used is equally as thoughtful – Cloud Twelve uses vegan brands Nailberry and EVO, whose formulas are eco-friendly. The salon is open to everyone, and the dining area seems a great place to work remotely (with intermittent nail and hair appointments, of course). In fact, I’m told the dining area is frequented by ‘Instagrammers‘ and ‘stylish locals’ alike. On the two other floors above, you’ll find the spa and the wellness centre. Walk in for five minutes and we guarantee you’ll walk out feeling more relaxed, down to the warmth and comforting smells of the spa. It’s small but not cramped, and the changing rooms look like the loos in The Ned – beautiful and just the extra touch of luxury that can be expected of Cloud Twelve. The spa offers an array of treatments from massages and pre-natal treatments to sessions in the salt room (a small room with a wall of naturally healing rock salt which, as I’m told, is wonderful for kids too), however, we must vouch for the Lymphatic Rose Crystal facial – it involves lying on a warm bed of quartz stones (much comfier than it sounds) whilst a skin therapist with a calming voice gently massages the face with wonderfully pungent products that will leave you looking like you had botox – in a good way. Kindred is a new members’ club in West London aiming to bring like-minded individuals together. Set in the grand, grade II listed Bradmore House building in Hammersmith, Kindred is a new base for creative minds to feel at home away from home, share ideas, and interact with other members through the schedule of events which boasts supper clubs, breakfast networking, wellness classes and piano sing-a-longs. Kindred, having established a relationship with TED, will also host TED talk screenings, TEDx Collaborations, and TEDSocial Events. Part of the Birley Clubs collection, who also owns the legendary Annabel’s, George is a members’ restaurant and bar located on Mayfair’s Mount Street. The decor is contemporary and stylish, with David Hockney works covering the walls of the dining room, an Art Deco style bar and canopied decking outside where members can enjoy al fresco dining in the warmer months. On weekends George welcomes families, offering children’s entertainment each Sunday, giving parents the opportunity to relax. Dogs are also more than welcome at George – it actually takes its name from a much-loved dog, so furry friends are very much encouraged. The best part of a membership at South Kensington Club is exclusive access to arguably one of the sleekest London spas. It seems that no matter how posh the spa, you are often left with some reminder of the clinical – an unappealing work surface or a mechanical looking spa bed. South Kensington Club hits a home run on this front with facilities that are as relaxing, warm and delightfully enveloping as the treatments. Speaking of which, private members can relish in the one-of-a-kind intensity of treatments in the Banya. Clients can expect their banschiks to guide them through hot and cold intervals of high temperature eucalyptus stimulations and ice water dunks, the combination of which have a cleansing effect. Another form of parenia begins with the application of a specialised lemon and grapefruit preparation to balance the skin and initiate a gentle cleansing effect. The strength of the heat and humidity combine to enhance a meditative state. Downtime in the Tea Library following intense treatments is the much needed chance for the the body to absorb the benefits of the treatments. Albert’s Private Members’ Club re-opened last year on Beaufort Street in the heart of Chelsea, returning as a four-story townhouse – three times bigger than its previous venue. Albert’s distinctive atmosphere of quintessential English charm is now flooded with natural light and a relaxed sophistication that permeates the venue by day, to become electric as dusk falls. The redesign, led by Olivia Alexandra Interior Design, incorporates geometric patterns that play against warm prints and heavy velvets. Inviting brass tones lighten the rich, signature Albert’s design details of vibrant wallpapers and sumptuous flourishes. Members can can spread their time across the venue’s multiple areas, which include a Club Room with an all-day restaurant and bar, Private Dining Room perfect for hosting events and meetings, and finally the Penthouse Champagne Bar: the ideal spot for drinks late into the night. Spotting a gap in the market for an uber-private club with a focus on health and wellbeing, Mark Chambers has used his decades of knowledge of the hospitality industry to launch 3 St James’s Square to help ‘bring balance to busy lifestyles’. The address already is an indication of how exclusive a private members’ club it is, but what’s most exciting is the investment in cutting-edge science to give members a truly bespoke experience. Once a member joins 3 St James’, they undergo a state-of-the-art DNA test paired with a 3D body scan (Chambers has secured the only machine in the world for the basement) so as to create a fully personalised health assessment which will then inform the personal trainers to the kind of fitness that will have the best results (down to vitamin and mineral requirements, and recovery rate). Undoubtedly the mecca of all meccas for wine lovers, 67 Pall Mall is a formidable three-story establishment with views looking on to St James’ Palace. Last year the club opened an entirely new floor and began accepting new full members for the first time since membership closed in 2015. The members’ lounge is found in Hambros’ former banking hall, where members can scroll through an unrivalled wine list on the in-house iPads, which are also loaded with critic’s scores and winemakers’ notes. Sensitively designed by Simone McEwan, the club’s Wine Library displays thousands of bottles from their collection, enticing every oenophile to peruse and select wines to their heart’s content. Besides this, 67 Pall Mall’s extensive wine cellar also offers a Member’s Reserve facility, allowing members to store some of their own personal wine collection in the club cellars. £1,500 per annum (+£1,500 joining fee). Ministry of Sound opened their first private member’s club last year, providing a new space for the city’s creative community to socialise and work. Following the new trend for collaborative workspaces, a curated community from music, media, culture and tech industries are invited to join The Ministry‘s private club and take advantage of amenities including a cinema, event space, immersive technology studio, sound-proof production suites, a restaurant and seventy-foot bar, all just a stone’s throw from the iconic nightclub. A new venture that’s strictly ‘by creatives, for creatives’, this might well be the new Soho House. Though membership is invite-only, you can register your interest here. Launched in Shoreditch in May 2017, The Curtain is the newest venture from New York hotelier Michael Achenbaum. Alongside the new restaurant and hotel, the members’ club is a place to network, play, learn and explore in London’s most happening area. It’s open from 7am to 2am daily allowing for the best of day and night hospitality and entertainment, with live music at its heart – including secret gigs, DJs and acoustic performances, as well as various other exclusive events and talks. There are also quieter lounge spots to enjoy a nightcap or four, a co-working space which opened in late 2017 and a Screening Room which will hold private screenings, previews and presentations. This is a modern members’ club firmly at the forefront of the new wave, claiming; ‘We’re not about wealth and status. We don’t care who your parents are. We want members that have something in common: namely, a creative soul’. Bon viveur Brian Clivaz has launched the Devonshire Club. It comprises a club lounge, bars, 120-cover brasserie, private dining rooms, library with screening room, and hotel with 68 bedrooms – with an adjacent 18th Century townhouse home to the club spa and gym. It’s in a Grade II listed property in the heart of the City of London, the financial hub which is transforming a little. The newest outpost of Soho House – in the former Midland Bank building – is also nearby. ‘The Devonshire Club will be the focal point where those with Mayfair style and glamour meet East End chic,’ says Clivaz, who adds that it ‘offers a sophisticated atmosphere in which to conduct business, relax and entertain.’ Lord Ashcroft is a major investor. No doubt he’ll be staying clear of Mark’s. Annual membership is priced at £2,400 per annum, with an additional joining fee of £2,400. Fine, Mark’s Club isn’t exactly new. It was originally opened in 1972 by Mark Birley. But it was purchased by Richard Caring (along with Annabel’s and Harry’s Bar) seven years ago and today, the club is set for a shake up, as Caring teams up with Peter Dubens (founder of London-based Oakley Capital) and financier Charles Price (son of the former US ambassador), with big plans for reinvention. Together they’ve backed chef Tom Aikens to great effect in the past. Mark’s Club is big time exclusive – but still deemed in the ‘new’ pack. We’re not sure whether the fact David Cameron is a member supports this, or completely diminishes it. An annual subscription to Mark’s Club is £2,000 and there is an entrance fee for the first year of £1,000. This iconic London building and its neo-classical interiors has been meticulously restored by a team of experts commissioned by developers/hoteliers the Reignwood Group (also the new owners of Wentworth Golf Club). Now this 1920s heritage property houses a Four Seasons Hotel – with 98 guest rooms and suites – many with views of the Thames. What’s more, there’s 41 private residences, a private members’ club, two gourmet restaurants, and a spa. The club includes meeting rooms, a cigar lounge, bar, art gallery and business centre. It’s close to the City, and also wants to ‘reinvent’ the scene, or at least reignite it. It’s certainly part of the park, but definitely more old-school than many: the Château Latour Room, for example, comes in partnership with the well-known Médoc winemaker. These connections aren’t forged on a Macbook in a pair of Stan Smiths. Ten Trinity Square Club opened in late 2017. Accepting membership applications. ‘There’s a special place in hell for women who don’t help other women,’ said former USA Secretary of State, Madeline Albright. A powerful quote – and the inspiration behind the UK’s first women’s only members’ club, AllBright, founded by entrepreneur Debbie Wosskow and CEO of Hearst Anna Jones. Among its clientele are Naomie Harri and Olivia Wilde, as well as House of Lords peer, Martha Lane-Fox, EMEA Facebook VP, Nicola Mendelsohn, film-maker Gurinder Chadha and fitness guru Grace Belgravia. The first club opened last year on International Women’s Day in Fitzrovia’s Rathbone Place, with a second due to open in the heart of Mayfair this May. Here, women are inited to join together to meet like-minded women, to connect, network and collaborate.